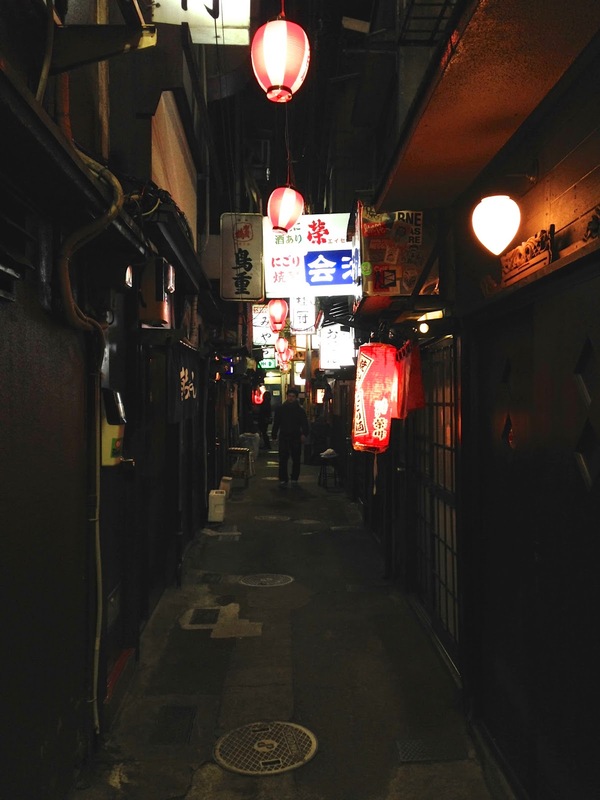 Shinjuku's Golden Gai, the street of many bars, is famous in Japan. It's in all the travel books and even comes replete with its own wikipedia page and robot cafe (but that is a different story). It's also, despite claims to the contrary, not unique. There is a very well kept secret in Shibuya that will not be with us much longer as it's scheduled for redevelopment very soon. So if you get the chance, take the time and visit Nombei Yokocho and step into a different world. The area is a block containing forty seven separate tiny bars, each with a handful of seats at street level and a "function room" upstairs (that can accommodate a further three or four people). The main street is no more than a narrow alley-way (Nombei Yokocho roughly translates as "Drunkard's Alley") lined with tiny sliding doors. The area was actually developed post war as a cheap place for people to relax and forget their worries for a while. Now it's one of the few remaining in Japan.